Our story began among standing rows of beets and kale in Ferndale during the summer of 2015. 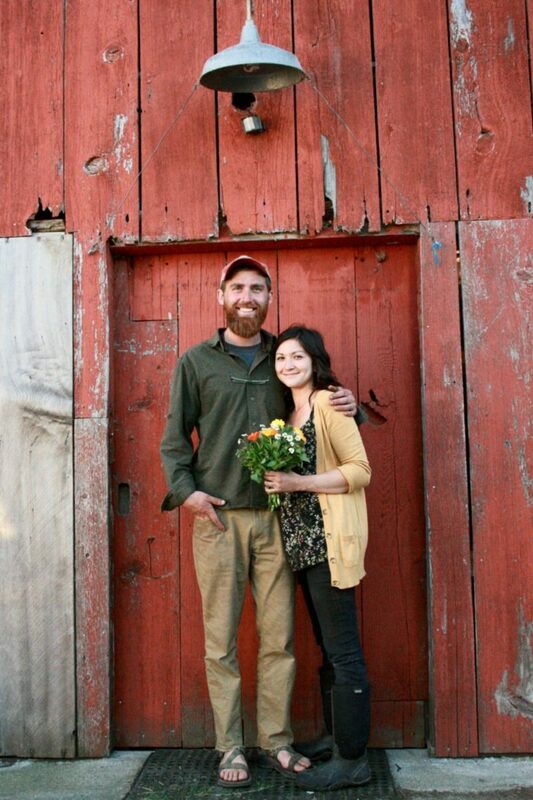 Aubrey had just moved up from San Luis Obispo and found herself on a vegetable farm where she met Ben, a dedicated employee skilled in quick harvesting. It was there that we discovered our love and appreciation for organic, local food as well as each other. Since those days of packing boxes and moving water pipe together, we've sustained our farming efforts through field-labor and local farmers' market involvement. Working on multiple veggie farms in the area has not only helped us prepare for the laborious days of farming our own land, but has also shown us what it means to be a part of a community. We strive to compliment this concept with our passion for nature and sense of purpose by doing what we know and love best: growing food for our friends and our neighbors. Aubrey grew up in the California Central Valley and shortly made her way to San Luis Obispo to thrive by the ocean and study biological and environmental sciences. Her experiences with native-species restoration projects and love for plant and animal life brought her to Humboldt County, where she immediately found work gardening and farming while attending College of the Redwoods. Her heart was full with love and encouragement from her clients, mentors, and teachers, as her dream of starting a nursery business soon gave rise to the dream of starting a farm. Since graduating from the CR Agriculture program, she has continued her work on local vegetable farms and has participated in management and event coordination for the Garberville and Fortuna Farmers' Markets, respectively. Her passion for purpose, community, and the Earth is what lights her fire! Ben was raised near the shores of the Chesapeake Bay in Calvert County, Maryland. His wandering spirit led him on many great adventures across the country for several years, during which he managed a friend's start-up business in Virginia, learned to build wooden boats in Washington, spent a season in the mountains of Tahoe, and kayaked the tidewaters of North Carolina, all before landing in Humboldt County. For the last five years Ben has dug deep into the world of gardening and farming, working on local farms while wholeheartedly absorbing the physical and spiritual nature of the trade. His work experience eventually led to a job raising quinoa on the Mendocino Coast where he relished in the excitement of larger-scale farming and machine operation. Ben's passion for tending the land is evident whether he's combining 80 acres of quinoa knee-deep in motor oil, or on his knees harvesting a row of spinach! Interested in our Free-Choice CSA? Follow this link to find out more information about how our free-choice, market-style CSA works!